Denmark-based Vestas, the world’s leading wind turbine manufacturer, will cut 2,335 jobs worldwide as part of a corporate streamlining and is readying an additional 1,600 U.S. wind hardware manufacturing jobs in expectation of Congress failing to extend the wind industry’s vital production tax credit (PTC) beyond its December 31, 2012 expiration. 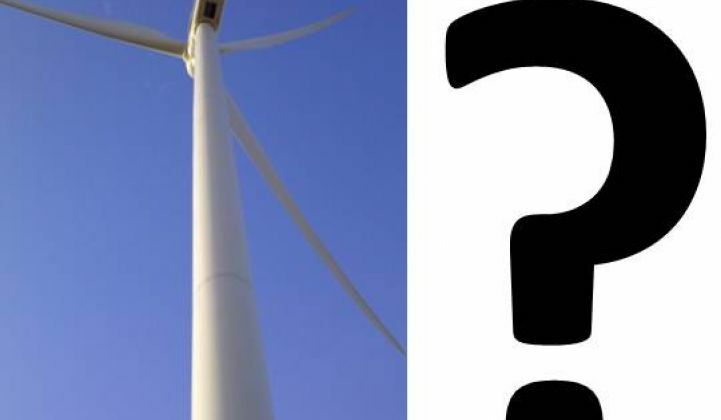 The layoff announcement came at the end of an early 2012 flurry of financings and purchases of wind projects led by famed investor Warren Buffett’s MidAmerican Energy Holding Company’s investment in the development of 407.1 megawatts of new capacity in Iowa. These may seem like contradictory moves, but they are not. 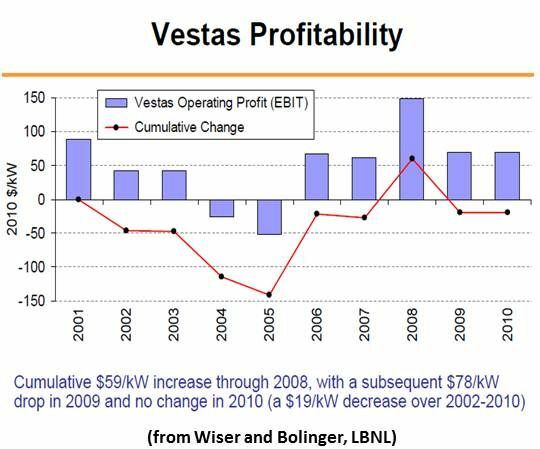 Vestas’ reorganization and global layoffs are primarily attributable to the European economic crisis. “The economic crisis delays and complicates the necessary transformation towards a more sustainable supply of energy,” Vestas CEO Ditlev Engel said. But the planned U.S. layoffs are entirely the result of the gathering doubt about the future of the PTC. 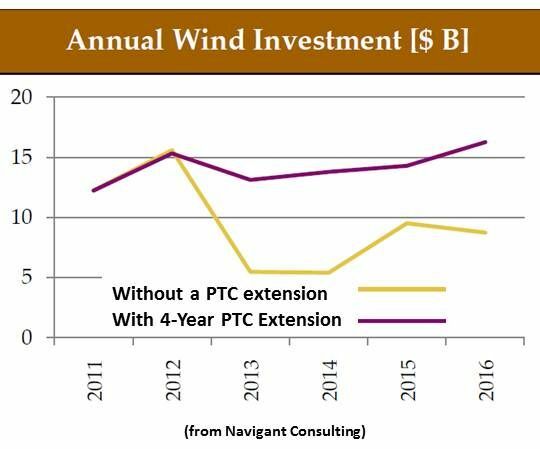 The wind industry is aggressively pursuing a PTC extension to 2016, matching the duration of the solar industry’s investment tax credit (ITC). 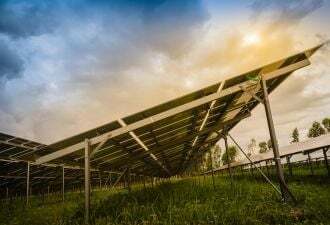 In support of this effort, Navigant Consulting conducted a study of a range of impacts that would follow either the PTC’s expiration or extension. The contrast between economic impacts is stark. If the PTC is not extended, Navigant found it will likely cost the country nearly 40,000 of today’s jobs and drain nearly ten billion dollars out of today’s economy. If the PTC is extended through 2016, it will add more than 25,000 new jobs and grow the wind industry by an additional billion dollars. “The PTC extension,” according to Navigant Director and Project Manager Bruce Hamilton, would provide a net benefit to taxpayers of some $25.6 billion at a net cost of $13.6 billion. [...] This amounts to a return on investment of 87 percent," he said. MidAmerican’s 407.1 megawatts of new Iowa capacity will come on-line in 2012. They will add to 593.4 megawatts of new Iowa capacity added by MidAmerican in 2010 and 2011, developments that contributed to Iowa moving to second place among U.S. states for installed capacity. “Wind is a viable renewable energy resource that enhances our energy portfolio, providing additional generation at a reasonable cost for our customers,” MidAmerican Energy President and CEO Bill Fehrman said at the time of the newest investments. That is why MidAmerican’s new developments were purchased in January. All 400-plus megawatts will be constructed and put into operation, Weisgall said, by the end of the year, making them eligible for the PTC.